A residential development site with a development permit in Carnegie has been sold at auction for the record price of $3.01 million. An offshore developer snapped up the property following a heated auction, with the sales price representing the highest per-apartment sale on record in the area ($131,000 per unit). 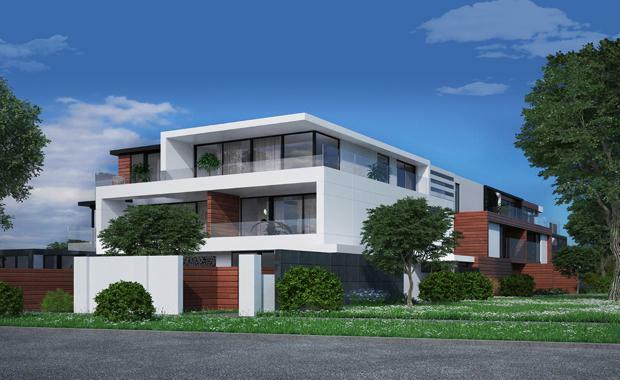 Located at 1170 Dandenong Road, the 1,405sqm site currently features an older style residence and has a permit approval for 23 apartments over three levels. CBRE's Julian White, Jamus Campbell and Chao Zhang negotiated the sale on behalf of the family that has owned and occupied the property for around 40 years. Mr White said the Dandenong Road site received strong interest from both local and offshore development groups, with the buyer pool recognising the increasing strength of the suburban residential development market. “The competitive sales campaign is demonstrative of the current unprecedented demand for well-located development sites, with in excess of 110 enquiries received for the site," he said. The mainland Chinese purchaser acquired the site to satisfy their keen interest in investing in the area. “We are currently witnessing incredible demand for smaller suburban sites from offshore groups, with present buyer appetite the strongest we have seen,” Mr White said. “The Dandenong Road sale represents the seventh development site transaction completed by the CBRE Victorian Development Sites team in August 2015 alone, and is evidence of the confidence offshore developers have in the inner suburban market,” Mr Campbell added.